The smartphone is priced at RUB 13,990 (Approx Rs. 14,700) and is being exclusively sold via Tmall in the country. It comes in Black and Blue color variants. 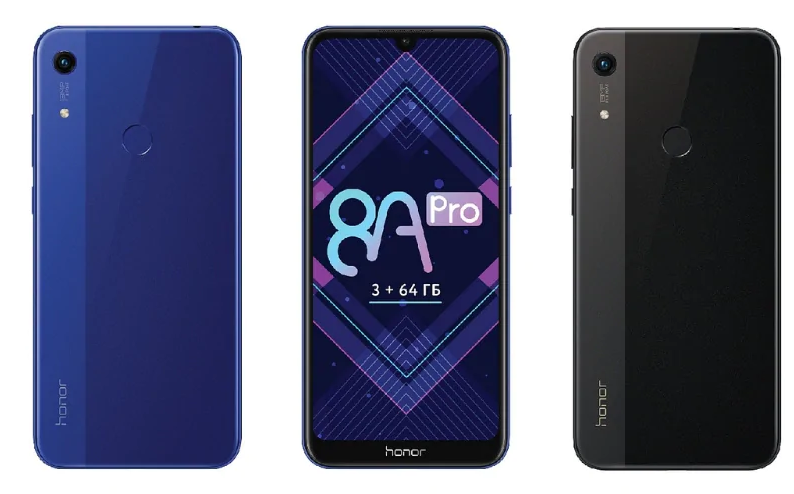 According to the company, the Honor 8A Pro will be available starting April 12, 2019, i.e., today in Russia, making it the first market to get the smartphone. There is no word on the international availability of the smartphone at the moment. Honor 8A Pro features a 6.09-inch IPS HD+ display with 720×1560 pixels resolution, 19.5:9 aspect ratio and 283 PPI. Under the hood, the phone is powered by octa-core MediaTek Helio P35 SoC with four Cortex-A53 cores clocked at 2.3GHz and four Cortex-A53 cores clocked at 1.8GHz coupled with PowerVR GE8320 GPU. The phone has 3GB of RAM, 64GB of internal storage, which can be further expanded using a dedicated microSD card slot (up to 512GB). Honor 8A Pro runs on Android 9 Pie with EMUI 9.0. In the camera department, Honor has included a 13-megapixel primary camera with an LED flash and f/1.8 aperture. There is an 8-megapixel selfie shooter on the Honor 8A Pro as well. In terms of the connectivity options, you will get 4G LTE support, Wi-Fi 802.11b/g/n, Bluetooth 4.2, and a Micro-USB 2.0 port. Additionally, the phone packs support for GPS and Glonass as well as a rear fingerprint sensor. The Honor 8A Pro packs a 3,020mAh battery.